What type of towns enter the National Enterprise Town Awards? Here is a selection of towns that entered the National Enterprise Town Awards in 2017 and why they made the final judging process. A question that is often asked about the National Enterprise Town Awards is what type of towns enter the awards and what qualifies a town to enter? Below are some examples of town entries from last year (2017). Please note, these are randomly selected examples from the four provinces and are meant simply to serve as an illustration as to what types of towns enter and why they enter. Over 70 towns and villages entered the awards in 2017. In 2018, over 90 entered. The National Enterprise Town Awards showcase how communities around Ireland embrace business and enterprise to help their towns thrive. One of the key pillars of the awards is how a town can demonstrate a collaboration between businesses and community groups that have helped it prosper. This Ulster town is located in the north of County Cavan on the border with County Monaghan. The population is circa 1,853. The Town Team initiative was introduced in three towns in County Cavan in 2016, including Cootehill. It aims to help the people of County Cavan to create towns they can be proud of with town centres that are prosperous and vibrant. Membership of the Town Teams is open to all over 18 years of age who live or work in the town and its environs. The Town Team initiative was founded to create an environment that will support job creation, and encourage businesses, the local community and other relevant stakeholders to work together to energise and reinvigorate their towns in collaboration with public authorities and other service providers. As part of the Town Team action plan, a SWOT analysis was carried out which identified town strengths such as the good existing enterprise culture; strong local enterprises; good industrial relations; a strong agri-community; and strong local groups and energetic community groups. The Cootehill Town Team has ambitious plans to promote and improve existing physical attractions and attributes of the area. 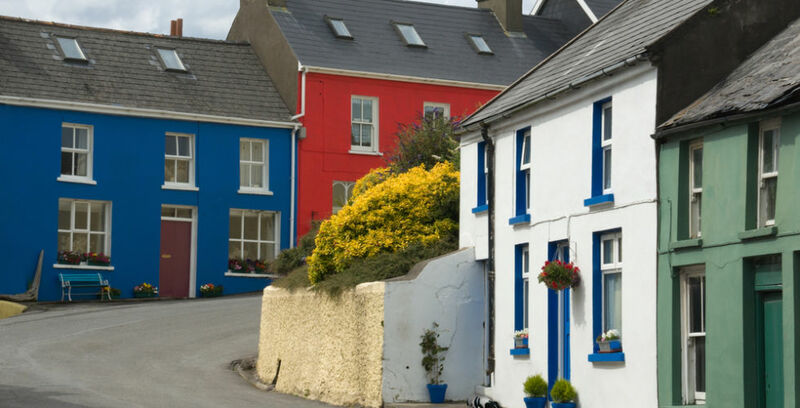 For example, the team painted Cootehill main street’s derelict buildings with bright and vibrant colours, they organised a community health and wellness forum and they re-established the Cootehill Arts Festival. These are just some examples of businesses and the community working together to improve the economic and social fabric of the town. Cootehill gets its English name from the 17th-century marriage of Thomas Coote, a Cromwellian Colonel, to Frances Hill from Hillsborough. This Munster town is situated approximately 50km to the northeast of Cork City in the southern shadows of the Galtee Mountains. The town is best known as a centre for food production, with an emphasis on the dairy and meat industries. The current town population is approximately 3,700. The primary voluntary organisation is Mitchelstown Community Council Ltd. Its aim is to promote the interest of the parish. In 2015 it sought and received planning permission to refurbish Forrest Hall, a disused town square building. In order to bring this project to fruition, local businesses and organisations were asked to give voluntary contributions. Links were also forged with Cork County Council and community enterprises regarding funding and development. Previous projects associated with Mitchelstown Community Council include the development of a community playground, local allotments, and a leisure centre. The council is also associated with community employment schemes. Forrest Hall is now home to many local organisations, with an emphasis on youth. The Cloyne Diocesan Youth Services (CDYS) and the Cork ETB now avail of the facilities. The town is a planned Georgian town and has many heritage artefacts. The King’s Square area is such an example. An old workhouse, ice house and market house, as well as a number of monastic settlements, are within the parish boundaries. Kilkenny City is at the heart of Ireland’s ancient east. It is a cosmopolitan city with a rich medieval heritage and a population of 26,512. Kilkenny City is the third fastest growing town in the country and is strategically located with exceptional international connectivity. In Kilkenny City, a dynamic ecosystem exists between indigenous businesses and multinationals that chose to locate here. The city has a unique commercial location with a capacity to attract high-calibre talent including a number of successful international businesses and start-ups such as State Street, Glanbia and VHI. Kilkenny City boasts a myriad of community and voluntary groups who provide various activities from art, sports and recreation to heritage, education programmes and community gardens. There are approximately 142 groups in Kilkenny from large charitable organisations to small residents groups. The city has a vibrant cultural and sporting lifestyle and is home to the famous Medieval Mile stretching from Kilkenny Castle to St Canice’s Cathedral. The city is a creative hotspot and is home to the Design & Crafts Council of Ireland, three-time Oscar nominated Cartoon Saloon and Lighthouse Studios. There is a thriving food culture in Kilkenny City with an abundance of gourmet eateries including a Michelin Star restaurant, Campagne. The city is also the home of the legendary Kilkenny Cats hurling team who have won the All-Ireland Senior Hurling Championship an incredible 36 times. Readers of Condé Nast’s Traveller magazine voted Kilkenny City as the ninth friendliest city in the world in 2013, and it was the only city in Europe to make the top ten. Dun Laoghaire began as a small fishing village and is best known for its natural amenities and beautiful coastline, but it is also a hive of economic activity, boasting 800 businesses including a vibrant retail, tourist, SME, start-up and corporate community spread through the area. 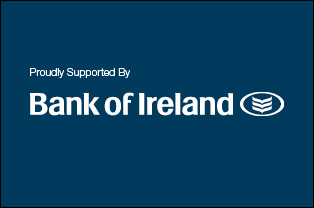 Businesses are well supported by a number of key groups including the Local Enterprise Office (LEO), the DLR Chamber of Commerce and the Dun Laoghaire Business Improvement District, all providing a focus, support and lobby for the business community. Monthly morning meetups are held in the Pier Connect HQ attracting audiences of over 60 people on early winter mornings and afternoon sessions are held in local cafes. An innovative networking walk (www.peertopier.ie) was successfully set up by the LEO bringing over 400 of the area’s business leaders together. Separately, the Lexicon library runs a number of business events. This year Dun Laoghaire will host the second DLR Summit, bringing thought leaders together in the Marine Hotel to up-skill in the area of digital business. The town’s name originated from 480AD when the famous King Laoire established a fort, then known as a “Dún” in the town centre. The harbour consists of two huge granite piers. The East Pier is one mile long and the West Pier is even longer. In 1971 The World Fishing Championships were hosted by Dun Laoghaire and brought many visitors to the town. Sailing is still an engrossing sport for many and is also enjoyed by many spectators during long summer evenings. Dun Laoghaire is also the home to Ireland’s leading art college, Dún Laoghaire Institute of Art, Design and Technology. Ireland’s first ever railway was opened in the town which ran between Dublin and Kingstown (as the town was known in 1834). In 1844 the world’s first Atmospheric Railway ran between Kingstown and Dalkey.